Bandai Namco and Shonen Jump are pulling out all the stops for the 50th anniversary of the long-running magazine and they were ready to reveal some new features during our recent trip to Tokyo. 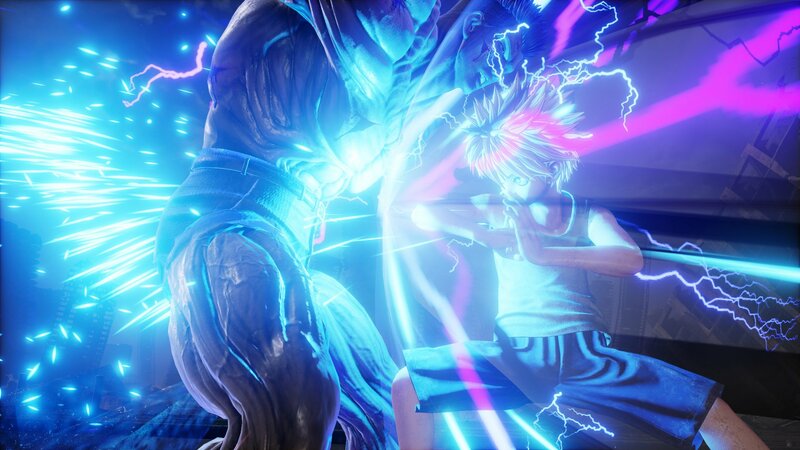 As some of you may recall, Shacknews got it first hands-on with Bandai-Namco’s latest brawler, Jump Force back at E3 2018. However, there were a number of brand-new reveals for the upcoming title announced during a special pre-TGS event held by Bandai-Namco. It would appear that they’re pulling out all the stops for Shonen Jump’s 50th anniversary. 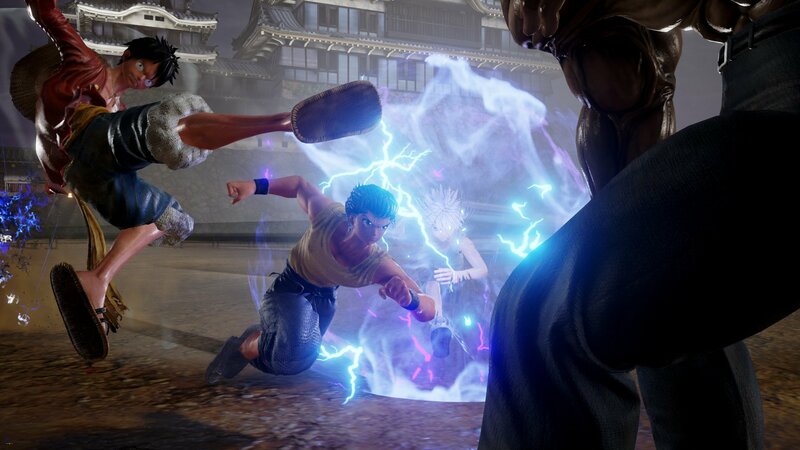 Jump Force takes place in the “real world” after the Shonen Jump Mangaverse collides with our own. This is why characters have such detailed “realistic” looks to them like being able to see the fabrics on Goku’s clothing or the red patches of sunburnt skin on Luffy. The overall detail on all the character designs is rather impressive and made skew to a more realistic look rather than a cartoonish cel-shading. Combat plays out in a similar fashion to the style found in the Dragonball Xenoverse series, with players have one straightforward attack button, a projectile button, and a dodge. Each team consists of three characters that can be called in for an assist or to tag out the main character. Each team shares one health bar, so if a character on one side loses health, everyone on their team does. While most of this information is already known, there was plenty of new information to gather at the pre-TGS. Probably the biggest news was the inclusion of customizable character avatars and a multiplayer hub world. Much like in the aforementioned Xenoverse series, players will unlock customizable outfits and skill boosts by participating in matches. Basically, depending on what you earn, you’ll be able to make that Majin-Buu/Bleach crossover character you’ve always dreamed of. 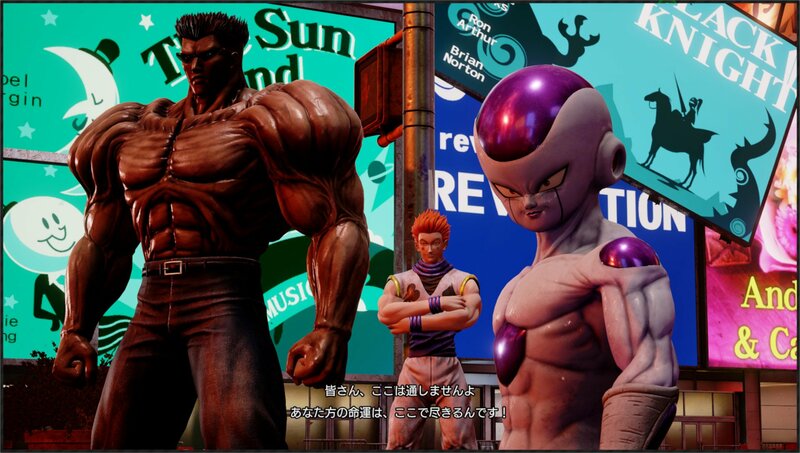 Along with the custom outfits, Jump Force is also getting some brand-spanking new characters designed by none other than manga legend himself Akira Toriyama. Director Glover of Jump Force and his robot pal Navigator will help players navigate the world and give out missions, while the Vile Galena and Kane will take on the roles of the main antagonists. 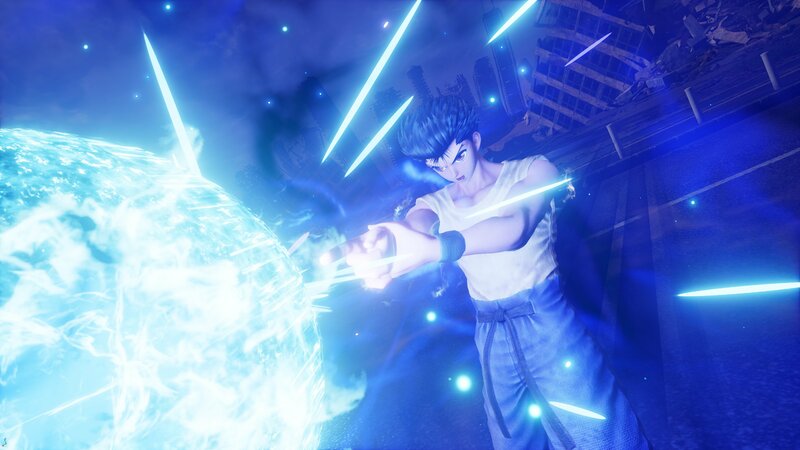 Along with the new custom characters, Jump Force keeps adding to its main roster as well and will now include characters from the Yu Yu Hakusho series including the main character Yusuke Urameshi. The game will also be getting a collector’s edition that comes with a statue of Goku, Luffy, and Naruto for anime and manga fans to display proudly in their parent’s basements as well as some bonus clothing accessories to help players start things off with their fashion foot forward. Right now Jump Force is set for a 2019 launch on Xbox One, PS4, and PC. No word yet as to whether or not it’ll be forcefully jumping onto the Nintendo Switch as well.